Win one of three baby rompers from Baby Moos worth £14.50! Baby Moos was created by Anna after she had her son in 2010, she is the owner, founder and main designer behind Baby Moos. Growing tired of finding baby clothes that was just blues and pinks, Anna decided to first import funky and unique baby clothes before later going on to design them herself. Anna's designs are all about letting cheeky, cute, and funny side's shining through, whilst showing some attitude through what babies wear. Babies have a unique set of clothes, such as bibs and baby grows, which no other humans can legitimately get away with wearing, so Anna thought ''I could have some fun with that!''. The world worships all in ones and babies are often wearing them anyway, so Anna decided to add some character to baby grows by using bold prints and playful fabrics. Anna now trades internationally and is delighted to image tiny people all over the world getting their character across through her designs. As Anna's own little ones have outgrown into slightly bigger ages and sizes, Baby Moo's has now expanded to accommodate their needs. Anna has launched a fantastic toddler range, including rocking slogan t-shirts, toddler hoodies and much more. Baby Moos has been shortlisted for various awards, as well as becoming a finalist and even winning various awards! WIN one of the following baby rompers! The winner can choose one of the following three rompers of their choice. 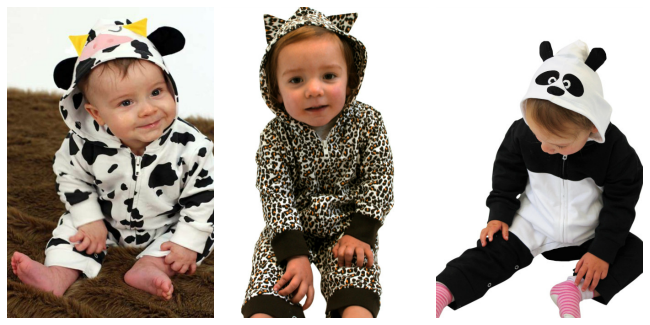 All available in sizes 0-3 months, 3-6 months, 6-12 months and 1-2 years. Please note: You must at least follow/like both Unique Young Mum and Baby Moos on at least one social media platform! To find out more about Baby Moos and their other unique baby clothes, check out the official website here.